Hi, Nerds! 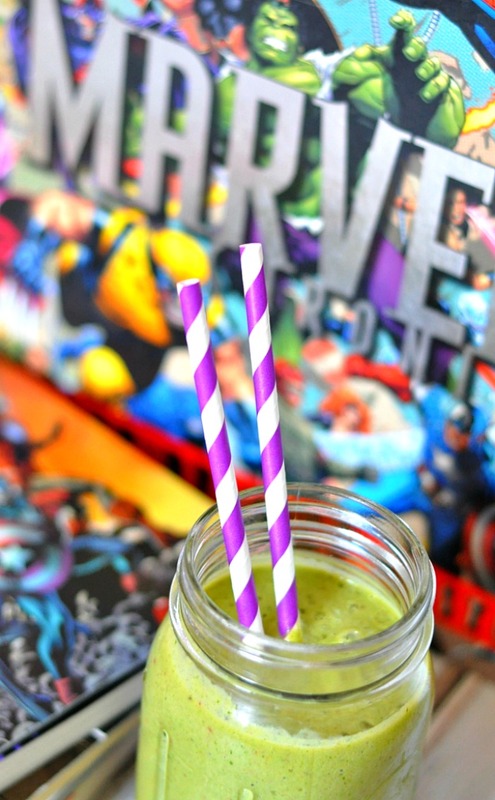 I am so excited to get Avengers Week started with The Incredible Hulk Green Smoothie! In this house, Marvel and Avengers is a big deal! Both Bryan and I grew up loving superheroes and that love has never gone away. Whether watching a tv show week from week, anxiously waiting months for the new movie release (YAY Friday!) or even delving into the comics themselves, we are hooked by the struggles and gains of these characters. We cheer when they win and cry a little – or sometimes a lot – when they fail (Can we say Coulson?). So it seemed really natural to me to host an Avengers Week here on the blog. I have a few recipes for you, a couple crafts and even a guest post from the other Love Nerd himself! It will be his first time on the blog which is exciting! 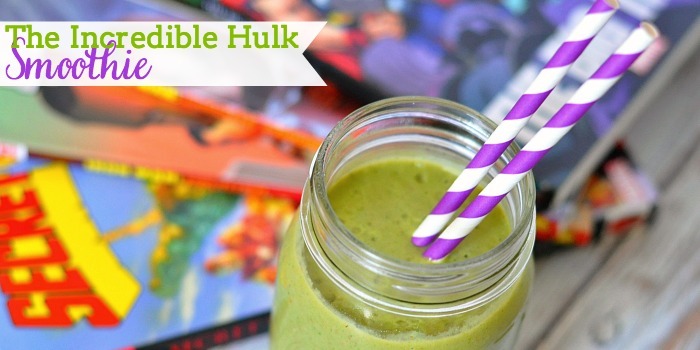 To kick it all off, I am sharing The Incredible Hulk Smoothie! Making more smoothies at home is a goal of mine. 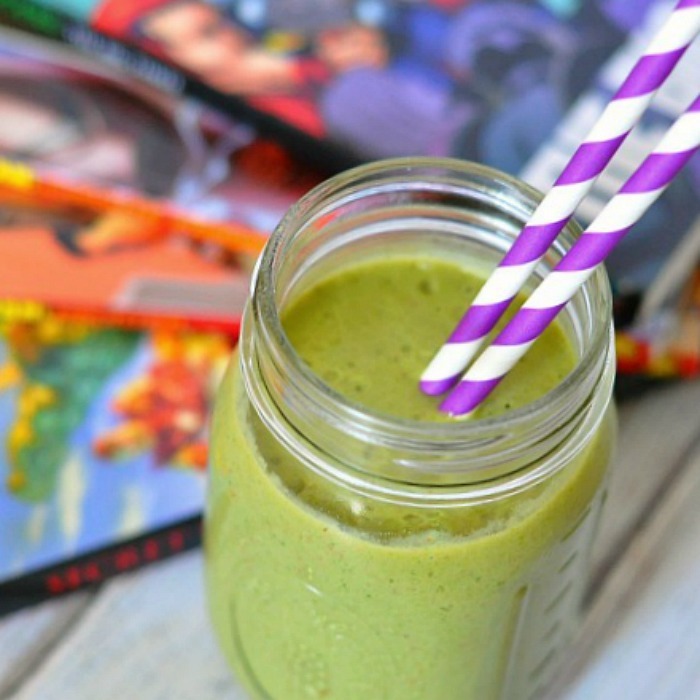 They are such an easy way to get more fruits and vegetables into my diet, which is why I especially love a green smoothie, and they are super easy to drink for breakfast or an afternoon pick me up. Drinking one of these is way healthier than me popping a bag of popcorn when I get hungry at 3 o’clock. Bryan especially likes them on the lifting days of his workout routine because of all the healthy nutrients and protein. 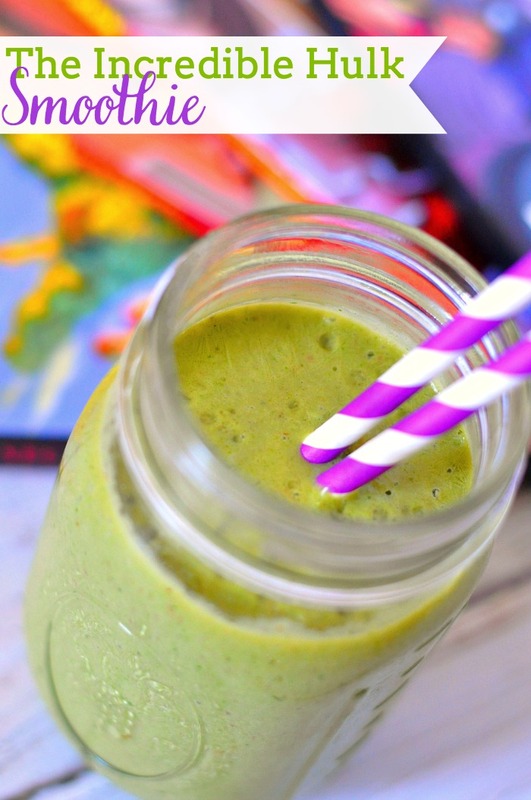 For anyone who has not had a green smoothie before, this is important – you do NOT taste the spinach. I repeat – no spinach taste. I’m going to share my favorite combination below, but there are lots of things you can add or substitute for a yummy green smoothie! 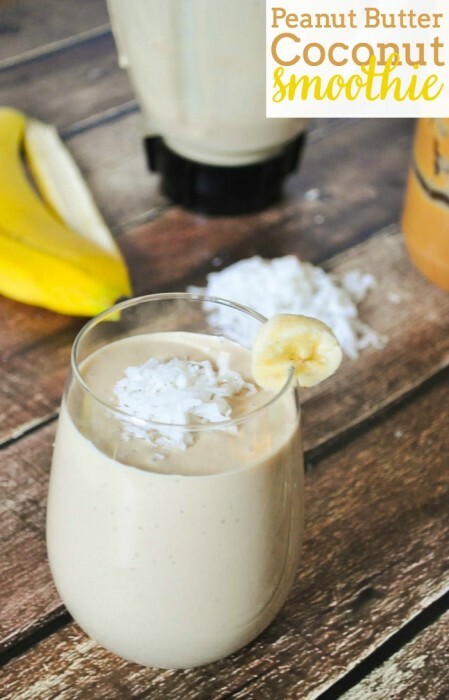 Add everything to your blender and go! Blend until smooth. Green is not the most inviting color for a smoothie, but it is delicious and filled with so many good ingredients for you! 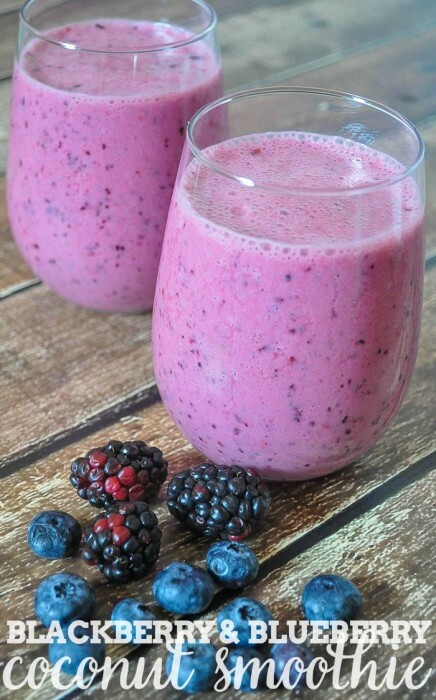 This is such an great way to encourage kids to drink a healthy smoothie! Love this idea! Sharing!